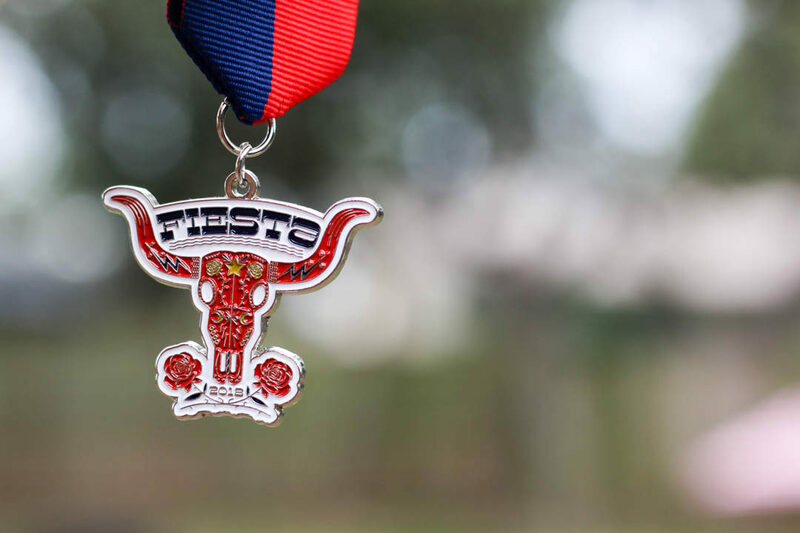 Whether you’re a fan of that school in Austin, or you just like vintage Western design, you’ll love Paul Baker’s Longhorn Fiesta Medal! 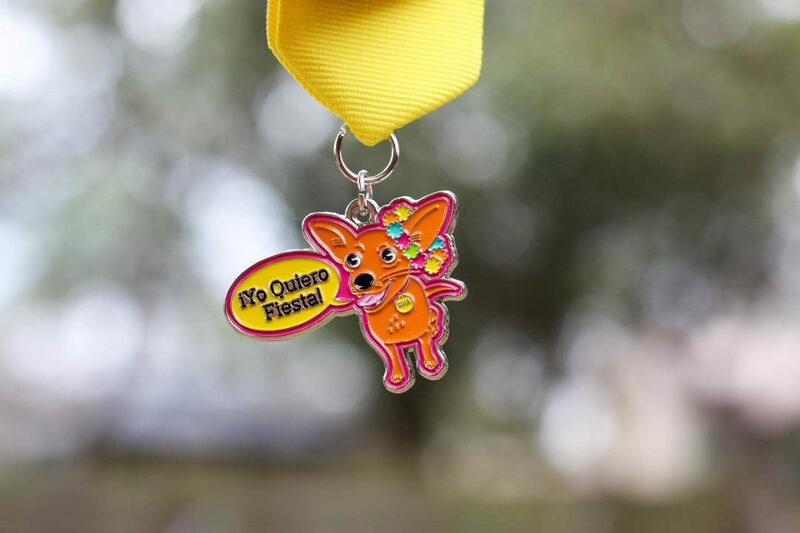 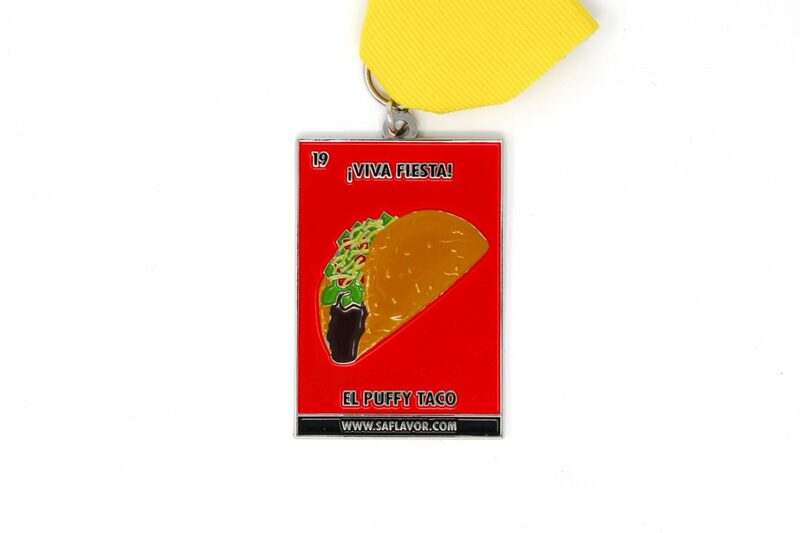 Geneva Baker is one of those Medal Maniacs that you see everywhere—I was excited to help her create the “Yo Quiero Fiesta” Chihuahua Fiesta Medal! 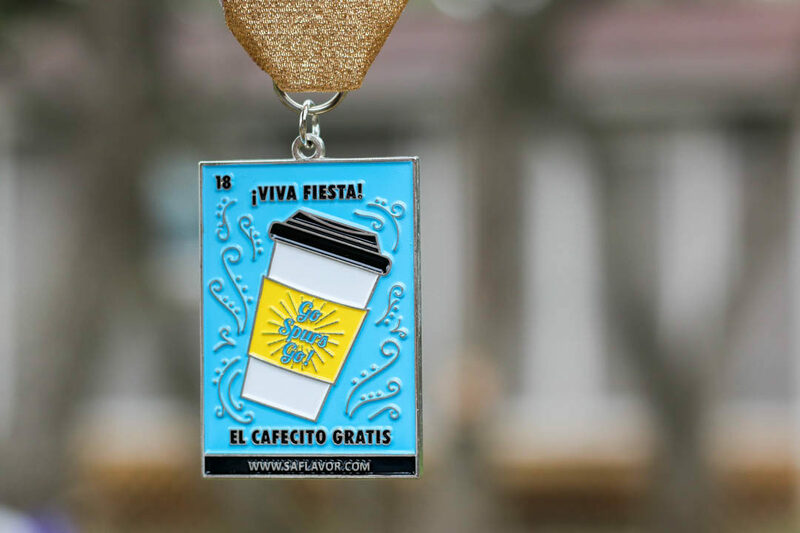 Our 2018 edition the famous food-centric SA Flavor Lotería Fiesta Medal features a drink that everyone knows and loves: El Cafecito Gratis. 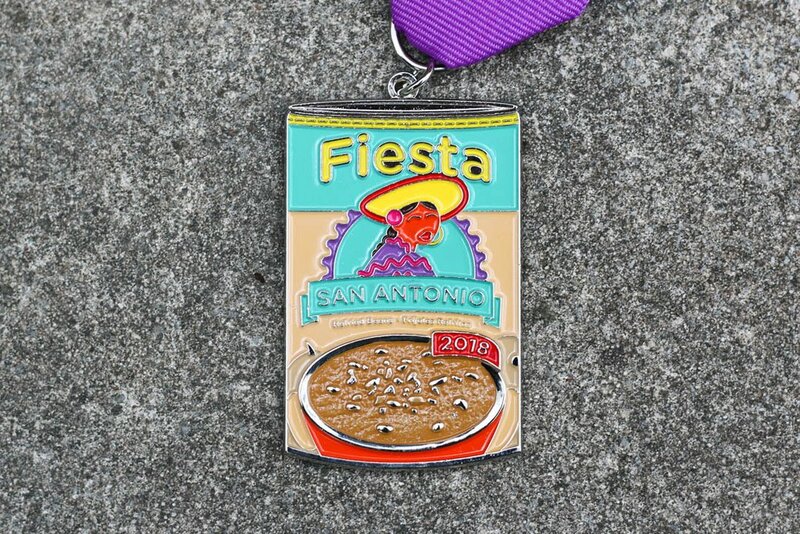 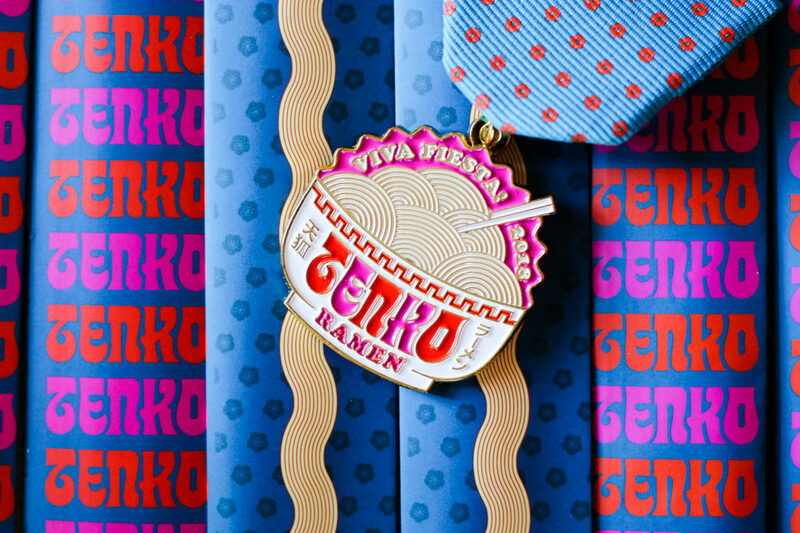 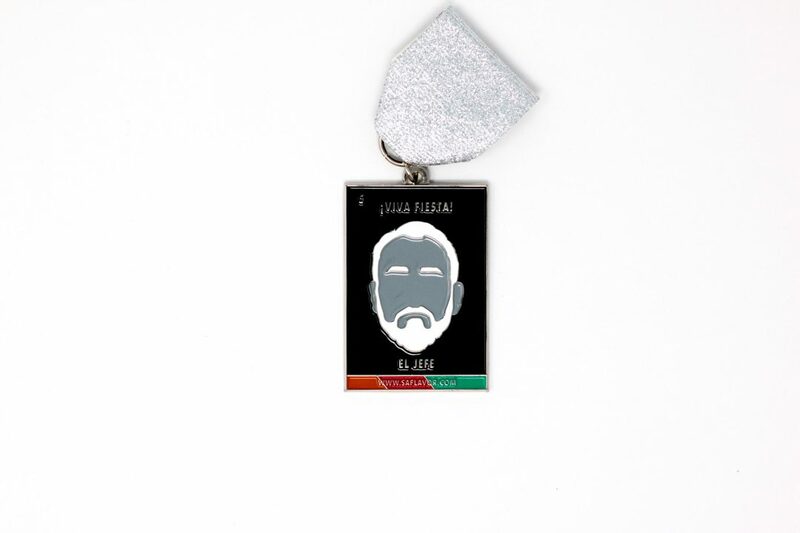 After seeing Roxanne Quintero’s Vermicelli 2017 medal, I knew that I wanted to collaborate with her on this Rosarita Fiesta Medal—$1 goes to Any Baby Can.